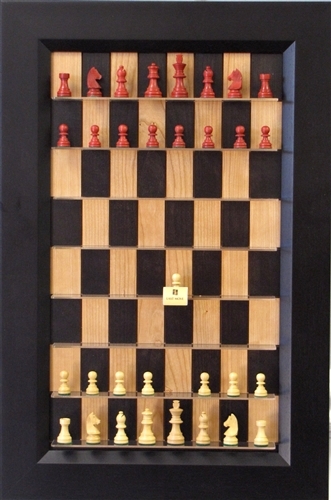 This board is designed for a 2.5" chess set, based on the tallest piece in the set. The spacing between the shelves is 2.75". 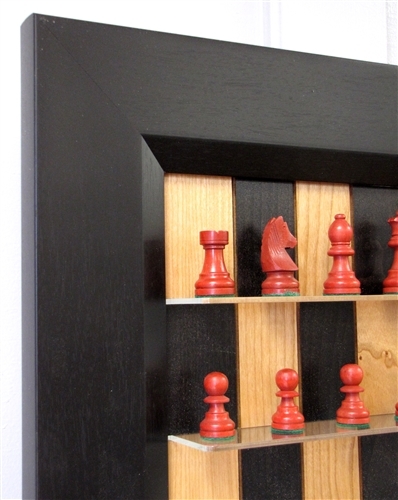 Overall dimensions with this frame are 19 1/2" x 29 1/2". 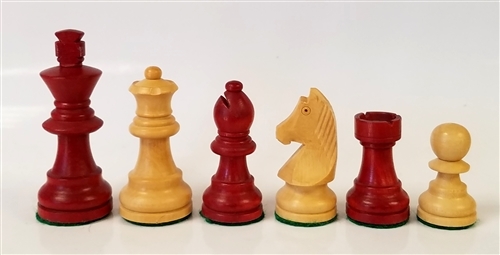 The chess pieces included with this set is the 2.5" Red German Knight designed set. The chess pieces can be upgraded by building your own set, see the menu or contacting Straight Up Chess.